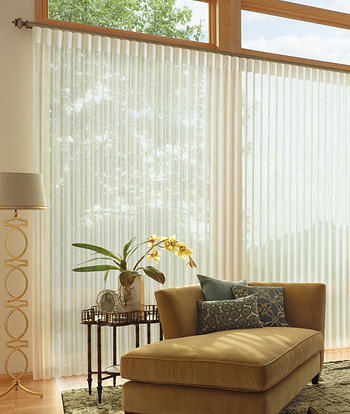 Should You Choose Blinds, Shutters, or Shades For Your Home in Drexel Hill, PA? Have you recently made the decision to upgrade the window coverings in your Drexel Hill, PA home? It is fun to shop for home finishes and décor, but some people feel overwhelmed because of all of the options that are available. Before you make your decision, it is essential to learn more about the products and compare the pros and cons of each. Here at Blinds and Drapery Showroom we offer everything you need, including blinds, shutters, and shades. Shutters: This product is one of the most popular styles because of the stylish elegance that is added to the home. Shutters are constructed using a rod down the middle, which is attached to wide slats. It is easy to close or open the shutters by holding the rod and moving it up or down. One of the advantages of shutters is that there are no cords or loose pieces that are common with other window covering styles. Shutters are a little more expensive compared to other options, but many people find that the extra cost adds many benefits to their home. Shades: If you are looking for a cost-effective method to cover the windows, then you might consider the advantage of shades. Shades are designed to roll around a rod at the top, bottom, or side of the window. The fabric stretches over the surface of the window when the shade is closed, or it can be rolled up by pulling the cord. Other shade designs use the method of gathering the fabric in pleats when the shade is opened. Our customers love shades because this design allows them to select the fabric that will be a nice accent to the rest of your home décor. Blinds: A classic window covering solution is to choose blinds, and you will see a wide range of products and price points. If you are looking for a stylish way to cover the window with high-quality materials, then blinds might be the right solution. This design uses vertical or horizontal slats that are attached to a cord. This cord can be pulled to move the slats opened or closed. You can choose lightweight slats or heavier wood products, depending on your preference. As you learn more about the different types of window coverings, you will see that there are benefits and drawbacks to each design. To compare more of the pros and cons of each product, we encourage you to talk to one of our experienced team members here at Blinds and Drapery Showroom. If you are making the investment to improve the window coverings in your home, then it is important to make sure that you get it done right. Some people are tempted to save money choosing cheaper products, only to find that these products quickly need to be replaced. Quality matters! Remember that you will be opening and closing the window coverings every day. Selecting durable products ensures that they will last for many years. Instead of only focusing on the price of each product, it is better to compare the value that you will receive. For example, buying high-quality window coverings from an expert contractor gives you access to durable materials and professional installation. Consider the way the window coverings will look in your home. These products can be a great way to add a nice touch that matches the furniture and other decorations in the room. You will set the right tone for your property by matching all of the design features that are integrated into your space. The cost of these home upgrades varies depend on the style and materials that you select. Even though you will be putting money into the products, it is essential to remember that this money is an investment to improve your property. For example, shutters can have an immediate impact to boost property value so that you can ask a higher price tag when you decide to sell.